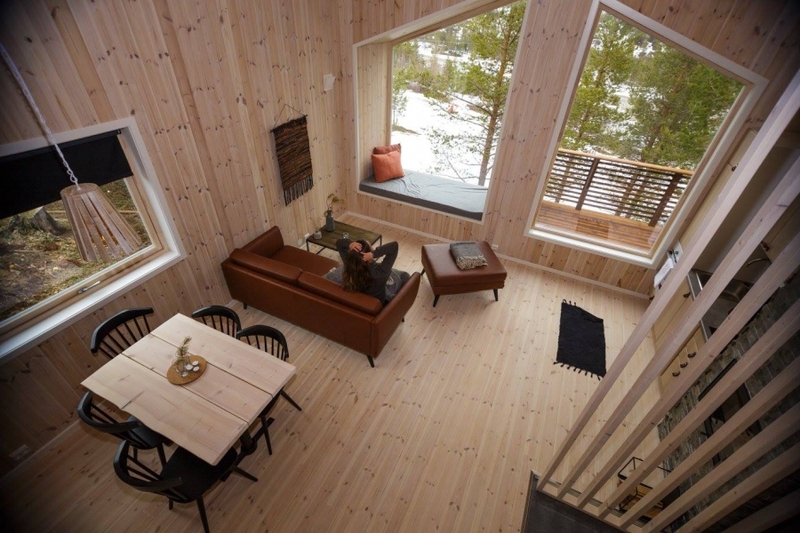 Norwegian cabin culture is a way of life, with locals spending 60 days a year on average in a cabin. This cultural tradition is rooted deep in history, beginning with farmers making the journey to the mountains to allow their livestock to graze on the fertile summer pastures. Living off the land, the farmers made the most of the surrounding nature, producing dairy products from their livestock, picking wild berries and mushrooms and fishing the abundant lakes and rivers. 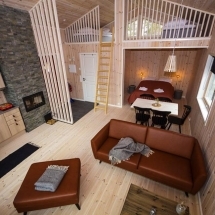 This cosy cabin holiday gives you the perfect opportunity to experience this Norwegian culture, staying in warm, comfortable and modern cabins. 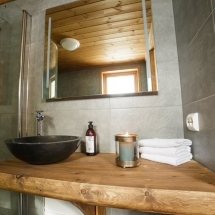 With views over the Alta Fjord, surrounded by deep valleys and mountain plateaus, the cabins are situated in a winter playground. 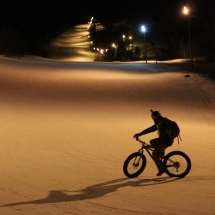 Choose to explore the downhill ski slopes of the resort, learn to fat bike or snowshoe to an adrenaline fueled zip line. 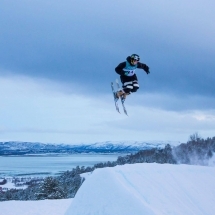 Combining traditional cabin culture with modern comforts and Norwegian winter sports, this family friendly holiday offers a unique winter adventure. Arrival into Alta, where your hosts will meet and greet you before a short 20 minute drive to Bjørnfjell Mountain Lodge. Leaving the bright lights of the city behind, the resort is located in a sheltered mountain location free from light pollution. Upon arrival you will be welcomed to the arctic wilderness before being shown to your cosy cabin. 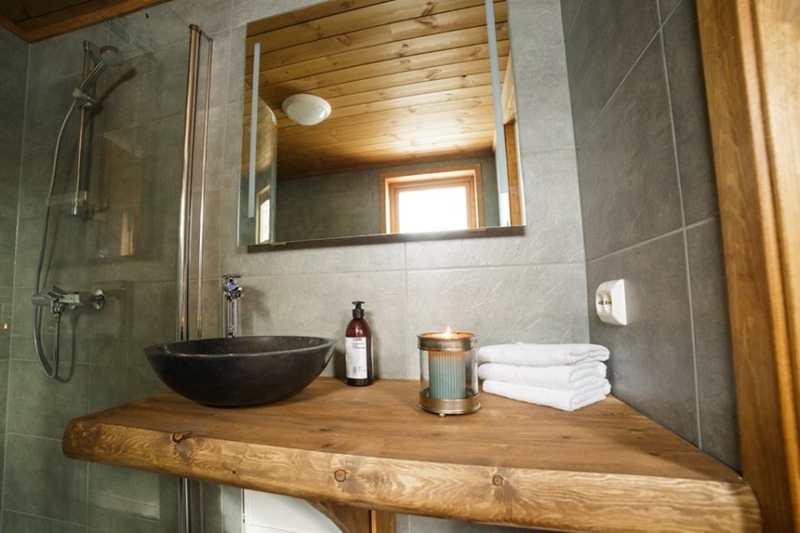 The lodge gives the option to self cater, making use of your fully equipped kitchen, or dine at the cosy cafe at Sarves Alta outdoor activity centre. The cafe offers a selection of homemade meals and cakes, making the most of traditional ingredients such as arctic berries, wild mushrooms and reindeer. Once the sun goes down be sure to look to the night sky to catch a glimpse of the dancing aurora. Stay cosy and warm, sitting in your window seat waiting for the lights to make an appearance. Enjoy a daily breakfast at the cafe or choose to have it brought to your cabin to spend a morning relaxing from the comfort of your bed. 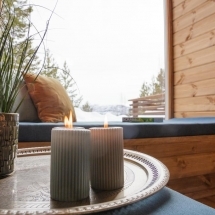 Choose to simply unwind today with a hot drink and good book next to the fire or gazing out of the panoramic windows from your window seat overlooking the mountains and fjords. 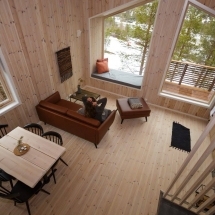 The cabins at the lodge are designed to represent a modern interpretation of Norwegian Cabin culture. Open plan living, with panoramic views bring nature closer yet allow for comfort and warmth. The sleeping loft sleeps up to 4 people, perfect for adventurous children to make there own space whilst adults can enjoy a good book on the sofa next to the fire. Alpine Skiing Under The Arctic Lights Ski and snowboard down the slopes under the arctic sky. The small ski resort offers downhill skiing for all skill levels. 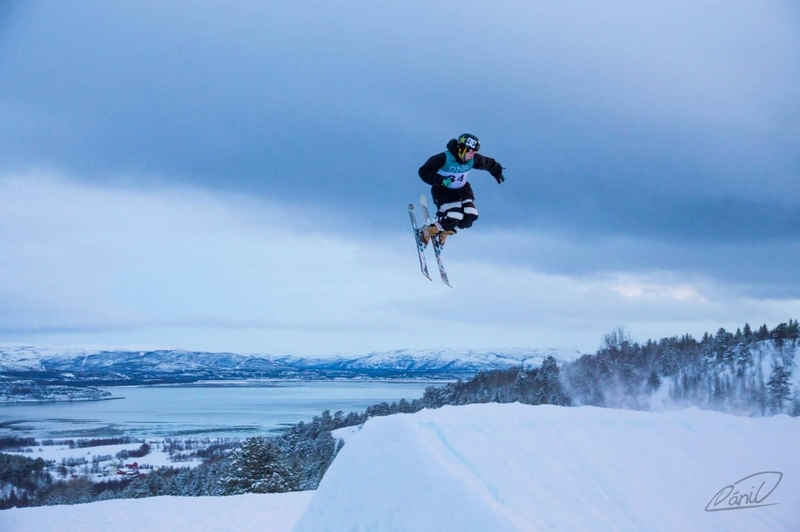 Challenge yourself by learning how to ride the rails and hit the jumps. 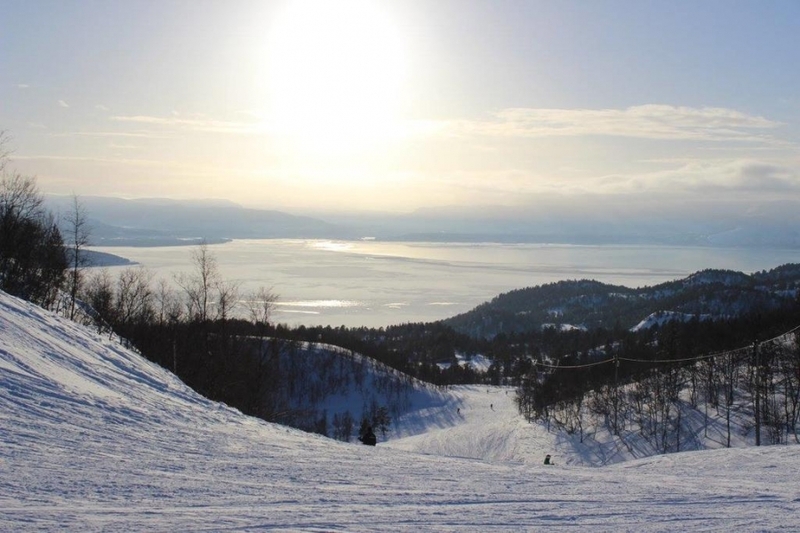 When it’s time for a break, recharge with refreshments in the Sarves Alta café or at Bjørnehiet on the mountain top. Winter playtime Take a toboggan down the hill, zoom down hill on a snowtube, kicksled the quiet snow roads or go snowshoeing in the Nordic pine forest. Perfect for all ages and abilities, these soft adventures are perfect for families to have fun together. 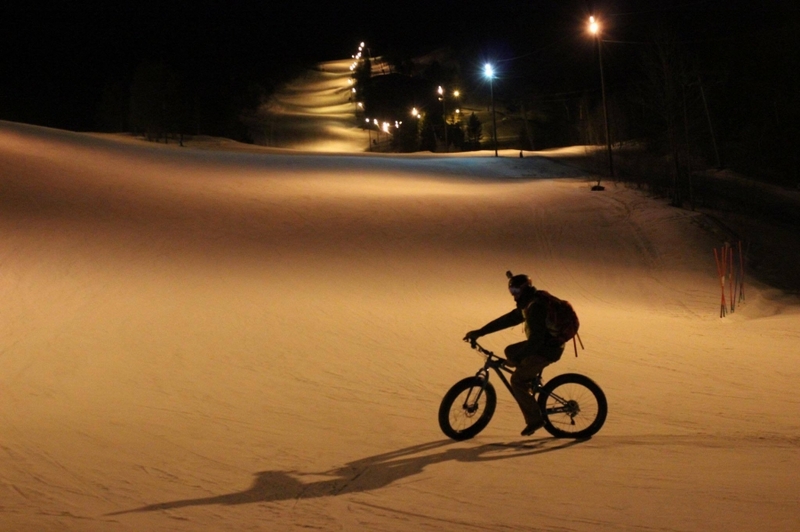 Fat Biking Get your adrenaline pumping, choosing to fat bike down the alpine slopes under the arctic sky or keep warm by riding the frozen winter roads. Zipline Snowshoeing Hike the Nordic forests on snowshoe taking in the peace and quiet of the surrounding nature, before closing your hike with a speedy zipline through the treetops. A pure mix of peace and adventure. Nature Walk Imagine a walk out in nature, enveloped by the silence of the arctic wilderness, free from the light of civilization, where your only company are the animals that call this wild land their home. Local guides from the lodge will take you to the edge of the nearby mountain plateau, from where you will hike into the wilderness. If the sky is clear above, there is a good chance you will see the mystical Northern Lights dance over head. The walk ends back at Sarves Alta at cafe Bjørnehiet overlooking the city of Alta in the distance. 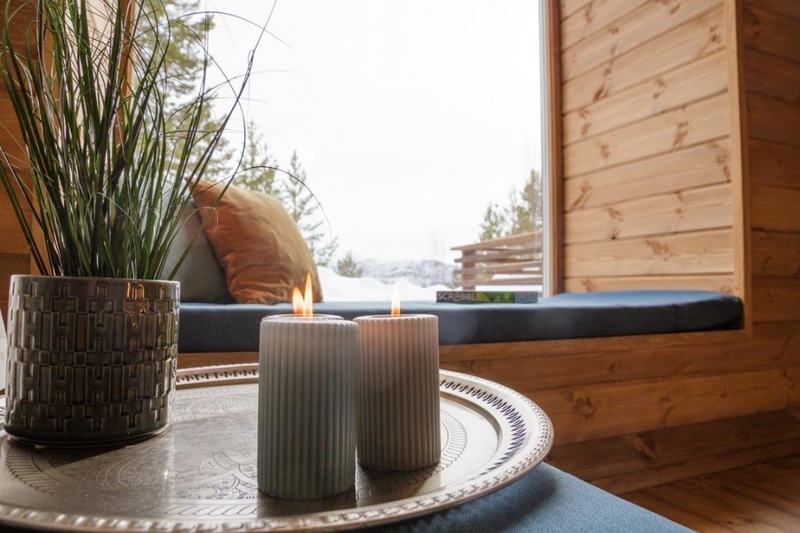 Choose to warm up inside the cafe or outside by the fire where you can enjoy a view of the fjords, mountains and city. 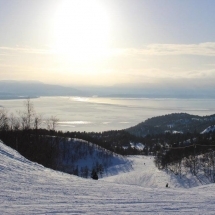 After refreshments, you will sled down to the main lodge and finish the tour with a delicious fish soup. Your Norwegian cabin holiday comes to an end today. Transfer to Alta airport to connect to your flight home. 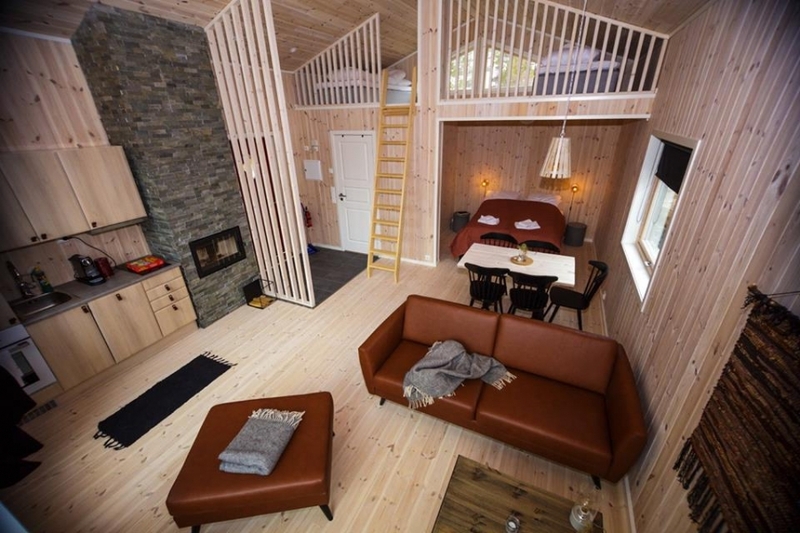 Alternatively why not extend your cabin culture holiday, visit the nearby Sorrisniva ice hotel or spend a night glamping at a husky farm. Get in touch with the team who will be happy to tailor your perfect arctic holiday.